The one single item that gobbles up the most space in a small kitchen is often the refrigerator. It is also one of the most troublesome items to integrate into a tiny kitchen. 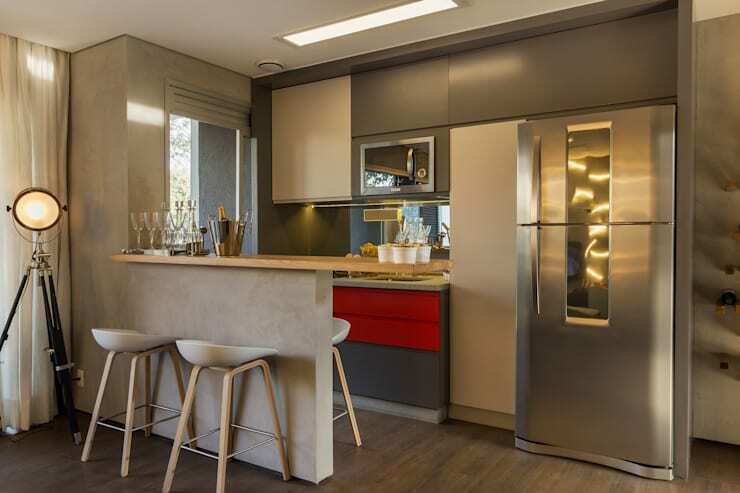 Standard sized refrigerators can be tricky to fit into existing cabinetry, modern refrigerators will often clash with the cabinetry and there is also the issue of the working triangle. When you don't have much space—it can be tricky to create an easy flow between the fridge, sink and oven. 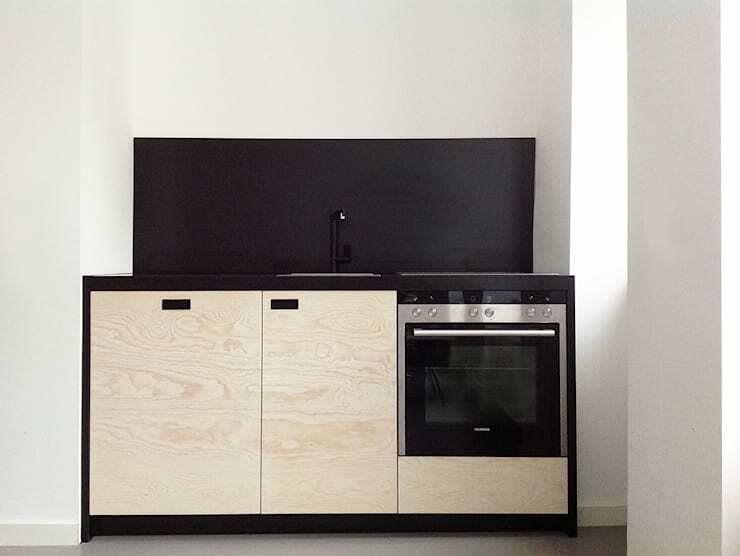 But we have lots of creative and unusual small kitchens here at homify that may help. Some got us thinking in completely new directions while others reminded us of the basics of design. Come with us to explore 9 ways to incorporate a fridge into a small kitchen! If you are in the building stages and have absolutely no choice about the location for your unit, a very narrow refrigerator might work. 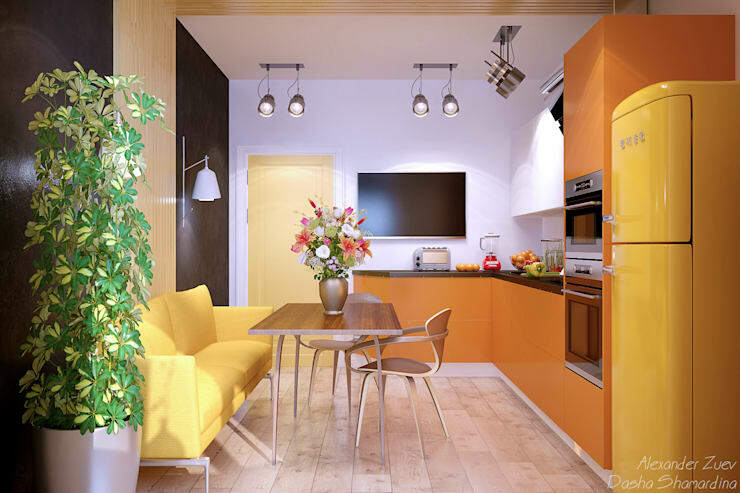 It utilises the height of the room and creates that extra little bit of space for the kitchen countertop. Perhaps a kitchen planner might help. If you are considering a bar fridge, it's often a good choice for a small kitchen. But with such limited space, it's best to keep things streamlined. Just hide it behind cabinet doors for a minimalist look. This unique kitchen was built in a challenging triangular space. 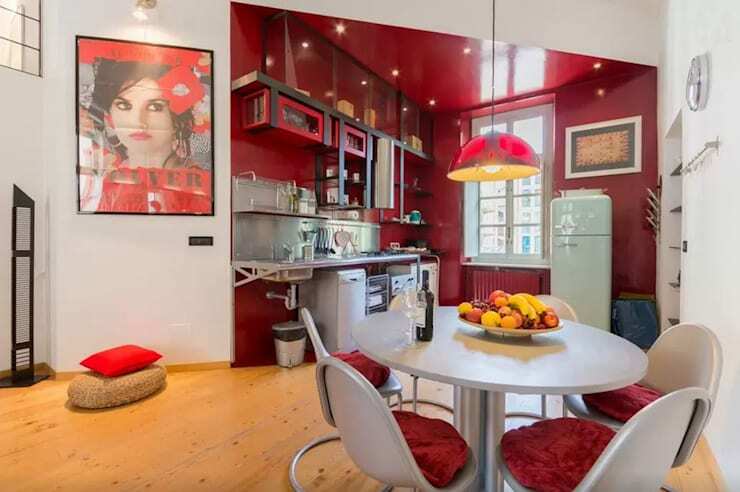 So the fridge has been placed on the opposite wall and linked to the rest of the decor with an awesome, vibrant red paint. If you are struggling to create a working triangle, it is best to avoid an awkward placement and put the fridge on an adjacent wall. 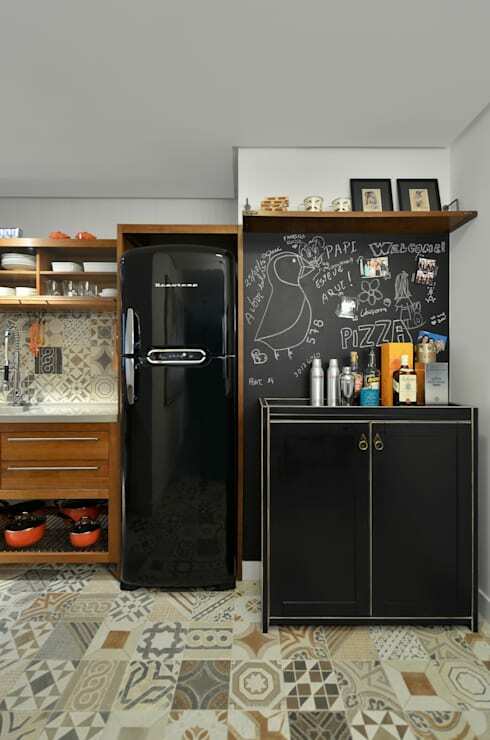 If you have the means, a retro styled fridge would help make the fridge a stylish part of the living room furniture as well. Most people in rental homes don't have the option to start changing the cabinetry. But some additional kitchen furniture might be introduced to link the fridge stylistically to the decor. Just check out this awesome little kitchen bar. Keep it classy and classic with sleek aluminium. Guaranteed to match with any colour scheme, it will also add some futuristic flair to your kitchen. The space on top of a fridge is a great place for extra storage. Built-in cabinetry is the perfect way to blend it all together and create a seamless, spacious look. 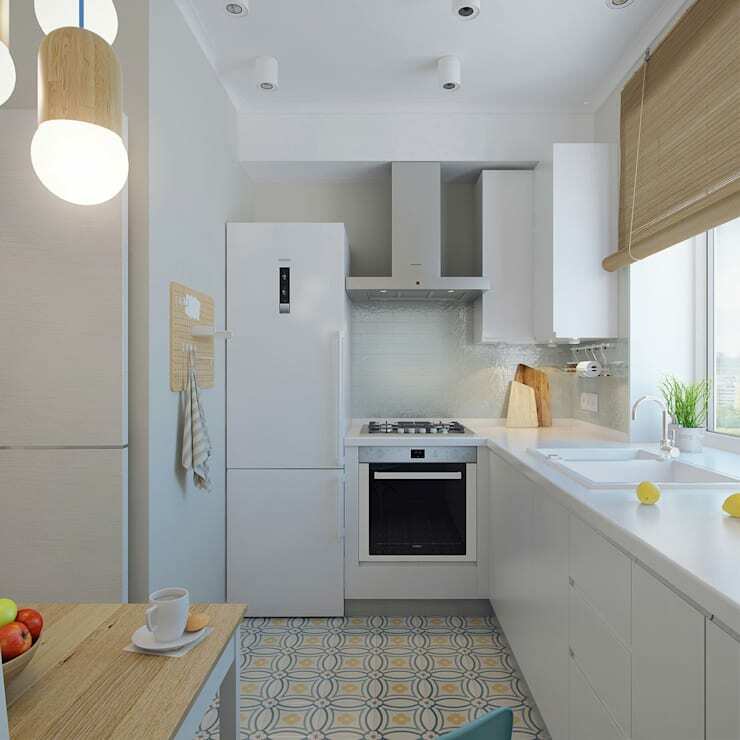 A kitchen table, chair or even a couch could be used to integrate the fridge into the kitchen decor. 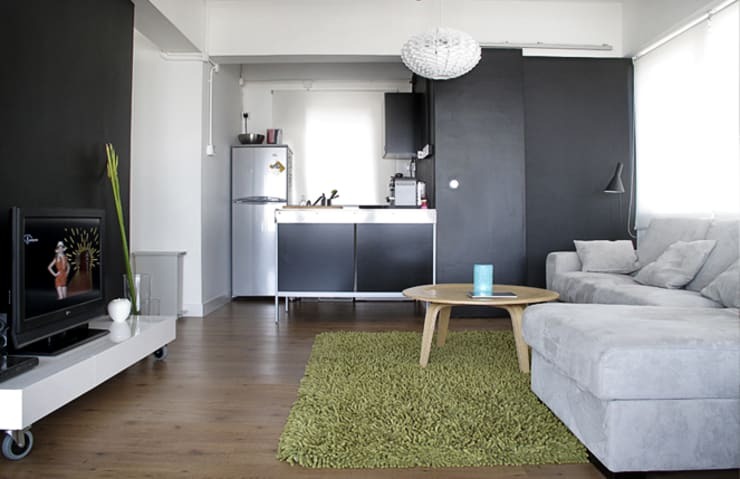 This is a good approach for those with studio apartments. If your kitchen is a boring old white colour, it's always possible to paint the fridge a fresh colour. Every item in your small kitchen needs to pull its weight style-wise. So a retro fridge is a great idea. 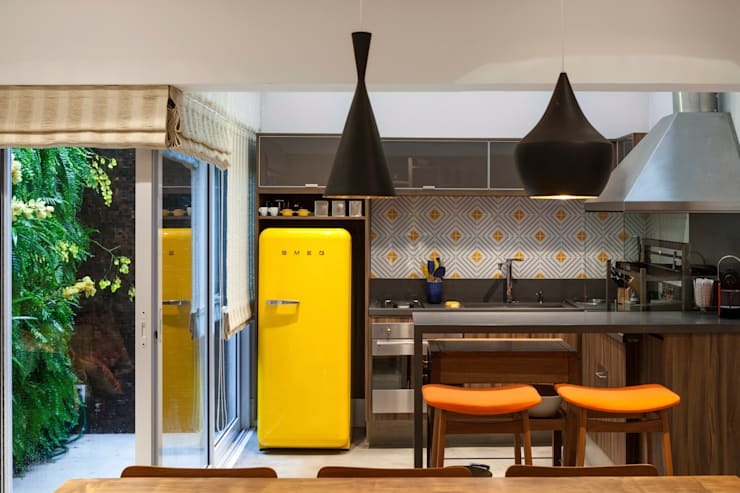 Check out the bright yellow fridge in this small kitchen. 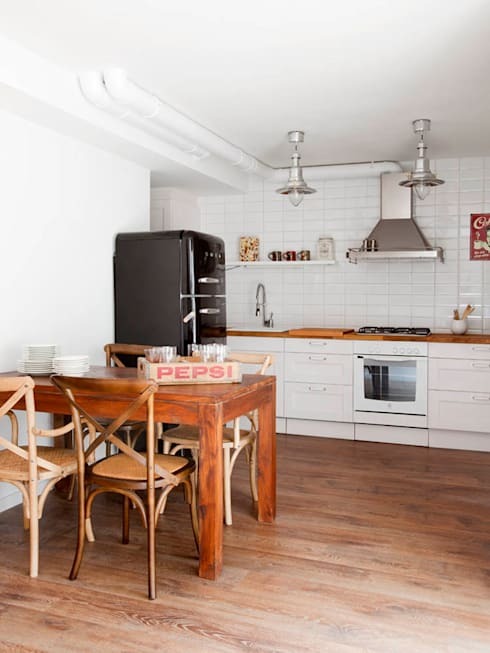 It totally defines this small kitchen and adds a lot of pizzazz. It comes to us courtesy of architects Arc-in. For more small home inspiration, check out 11 innovative loft beds for tiny homes. If you have any other ideas on integrating a refrigerator into a small kitchen, let us know in the comments field below!